With the return of Dr. Seuss's The Grinch this holiday season, fans are undoubtedly excited to see their favorite villain-turned-hero of Whoville grace the big screen in 3D animation. 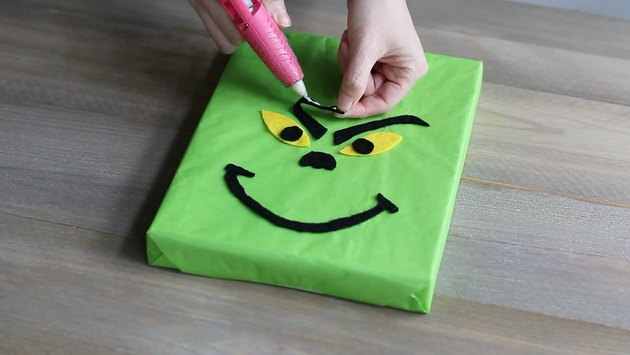 You won't be "a mean one" if you celebrate his comeback with this DIY gift wrap featuring the green guy himself. 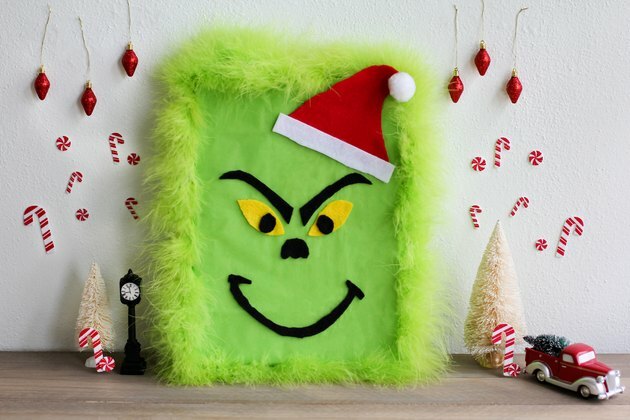 Though the Grinch may ultimately change his mind about stealing Christmas, this festive themed gift wrap will most certainly steal the show under the tree. 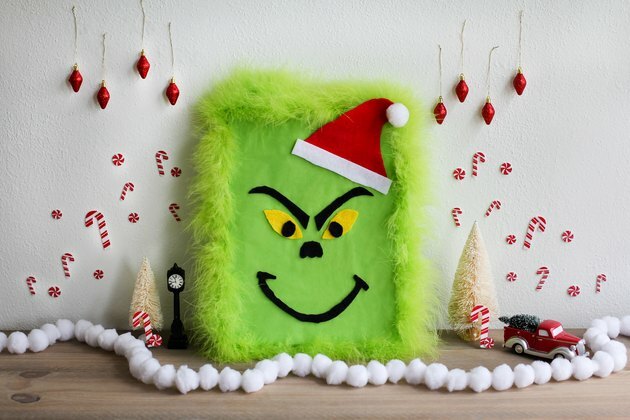 Wrap a gift box with green tissue paper. It helps to wrap it in two layers since the tissue paper is so thin and see-through. 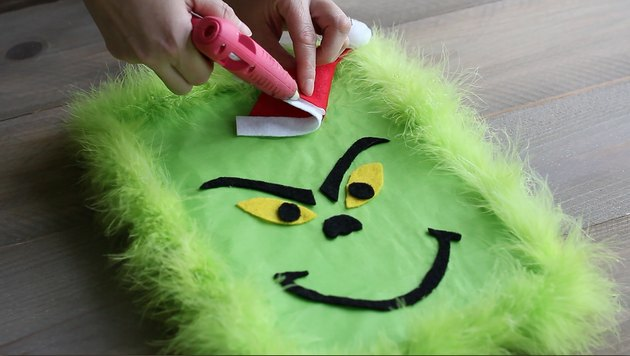 Use the free template to cut out the Grinch's facial features. 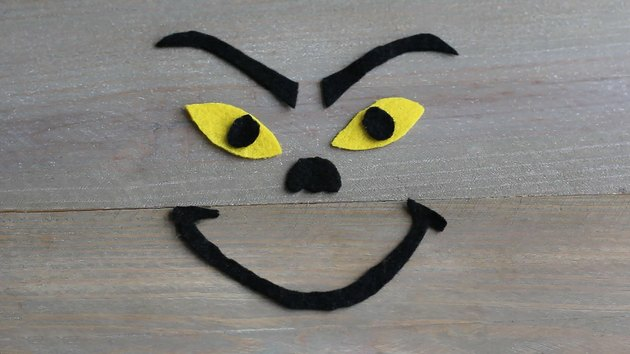 You'll need to cut out his eyebrows, pupils, nose and mouth from black felt, and his eyes from yellow felt. Arrange the facial features in the lower half of the gift box (as you'll need room at the top for the Santa hat). Once you're happy with the placement, glue the pieces in place with hot glue. 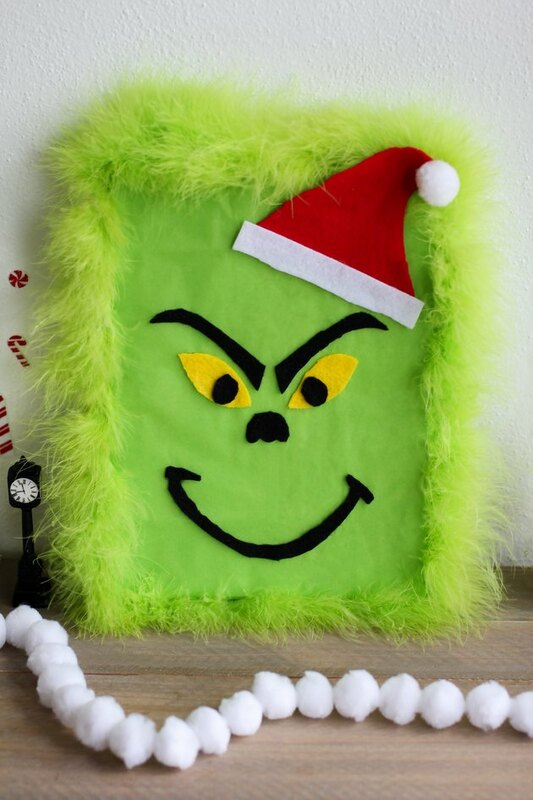 Wrap a green feather boa around the perimeter of the box and cut off any excess. 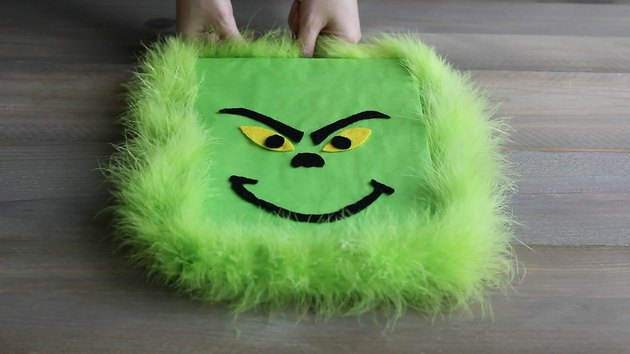 Glue the feather boa in place around the perimeter of the box. It's best to glue in small segments when working with hot glue. Place the Santa hat on the top right side of the box, positioning it so it looks like the hat is tilted on his head. Glue it in place. If you don't have a mini Santa hat handy, it's easy to make one with red and white felt and a white pom-pom. We included the hat shape on the template, in case you need it. 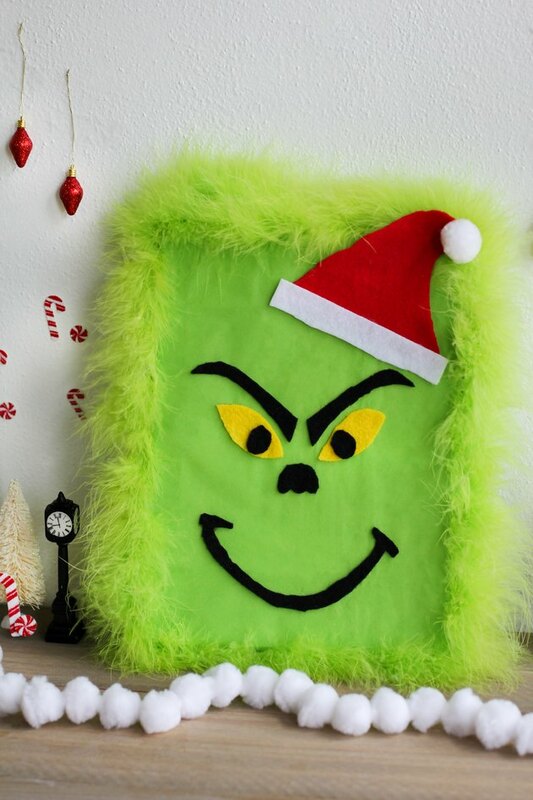 Place your Grinch-wrapped gift under the tree, and be prepared for the recipient's heart to triple in size just like the Grinch's.